NOTE – if you would like to book a private guided walking tour in Buenos Aires that includes a visit to Caminito and the surrounding area of La Boca, please click on the following link for information on our San Telmo & La Boca Tour. Quite possibly the biggest mainstream tourist hotspot in Buenos Aires, the colorful Caminito street in the otherwise run down barrio of La Boca has an unfortunate reputation of being commercial, touristy, tacky, tango-ey rubbish by locals and travel guides alike. However, although it is trendy to say such things, this small road and the immediate area around it do in fact have both an interesting history and the opportunity for taking some great photos, even if you have to push past several American and Japanese tourists to get the experience. What does Caminito mean anyway? Camino literally means ‘way’ or ‘walkway’ in English, and the -ito or -ita ending tagged onto Spanish nouns means little or small. And so Caminito is often translated as either ‘little walkway’, ‘little road’, ‘little path’, or ‘little street’. All of these are correct. It is little. At less than 100 meters long, it was never going to win any awards for size, but then Buenos Aires claims to already has those in the bag – Avenida 9 de Julio for world’s widest street and Avenida Rivadavia for world’s longest. However, Caminito certainly makes up for its shortness with its amazing colors, and probably has won some kind of award before for greatest concentration of Japanese tourists per square meter. But there is more to this small street and tourist attraction than first meets the eye. Around 6 million foreign immigrants poured into Argentina between the years 1880 and 1930, in which time Buenos Aires quickly turned from small town to heaving city. About 50% of these people were Italian, and many of those were from the port town of Genoa, Italy. Genoa was a port, La Boca was a port… things seemed familiar, and so the Italian immigrants did not move far from the immediate area where they first stepped onto Argentine soil, the port of La Boca (which means ‘the mouth’, as in the mouth of the Riachuelo river). What has all this got to do with colorful Caminito, you ask? Well, the majority of these Italian immigrants in La Boca worked in the port, just as they had done in Genoa. The Genoese proudly brought their unique identity to La Boca, and one of their old traditions was to paint the outside of their homes with the leftover paint from the shipyard – as nothing else was available or could be afforded. However, they took things one step further in La Boca, and actually built the houses almost completely from materials found or discarded in the shipyard. This was because of the huge population explosion due to the immigration at the turn of the 20th century – there just was not enough homes for all of the people in Buenos Aires. The answer to this problem was conventillo (tenement / shared) housing. Conventillos were long houses with small rooms that opened out onto a central outdoor common patio. Whereas in somewhere like San Telmo, for example, conventillos were generally old converted mansions large houses, in La Boca they had to be more inventive. Here the conventillos were hastily constructed from scrap corrugated metal and wood from old ships, and to spruce them up a little, the façades, doors and windows were then decorated in the famous bright color combinations with the leftover paint from the port, that tradition brought from Genoa. The main accusation that Caminito’s detractors throw about is that it is not authentic – in its current form, the street does not date back to the turn of the 20th century when the real conventillos were first built and lived in. By the late 1950s, La Boca had drastically changed from the turn of the 20th century – most of the colorful, ragtag conventillo housing that had been spread throughout most of the barrio had been pulled down, being replaced by dull houses and blocks of flats. But this was the very essence of La Boca being destroyed, its history, and not everybody was going to sit back and watch that happen. Benito Quinquela Martin, an abandoned orphan who was adopted by a Genoese immigrant couple in La Boca, was the man to take action. He had become the most significant painter in Argentina, with his dramatic paintings of the port of La Boca, and achieved worldwide recognition. But as La Boca was his inspiration, and had provided him with family, friends and shelter after having been orphaned at an early age, he felt he owed the barrio something in return. And so in 1959, Quinquela Martin and his artist friends created the street of Caminito, as a means of recreating the way old La Boca used to look – a reminder of where everyone had come from, not just in La Boca, but Buenos Aires, and Argentina, because this barrio and its port had been the gateway for many immigrants into this city and country (up until Puerto Madero & then Puerto Nuevo were built as replacements in the early 1900s), who then went on to make Buenos Aires and Argentina what they are today. What Quinquela Martin did was to rescue bits and pieces of the original immigrant conventillos that were being torn down and replaced, and used them to create a concentrated conventillo community around this small street, in what is essentially an uninhabited open-air art and history exhibit, and officially the world’s first outdoor pedestrian museum. And so Caminito is really a boiled-down representation of the old immigrant La Boca, and therefore, recreated by a master artist raised just around the corner, and so Caminito is actually a lot more authentic than most people will tell you. It is still an exhibit, and so nobody actually lives in the Conventillos along Caminito. You will see washing lines strung between walls in the stereotypical Italian way, but they are just for show, and all part of Quinquela Martin’s intended work of art, which should be respected for acting as a reminder of this barrio and city’s immigrant roots. You will probably notice a lot of Tango around when you visit Caminito, in the form of street performers, tango dancers and musicians, tango music drifting through the air from bars and restaurants, and tango souvenirs sold by the dozen in most of the shops, some of them situated inside the actual conventillos. Of course this may all seem a little tacky. And of course, it is! However, there is a reason why the Tango is associated with Caminito and La Boca. Tango music was born in Buenos Aires in around 1870. However, it is still open to debate exactly where in Buenos Aires the tango originated from. Many say the arrabal (the suburbs / frontier between the city and the fields of the pampa) has the strongest claim. However, La Boca’s claim is up there with it, and also back in those days the arrabal would have started just south of La Boca, and so there was probably some crossover. It is agreed that tango music first came out of the environment of immigrant-packed conventillo houses, where many different cultures and their respective types of music mixed in such close proximity, and from the melting pot of styles from around the world, tango music arose. It was on the outdoor patios in the center of the conventillos, where immigrants socialised together and played their musical instruments to each other after a hard day’s work, that this most probably occurred. And so, as Caminito is representative of the old immigrant La Boca, it is also a representation of the genesis of Tango music that occurred at the same time here in history. And in keeping with the Italian tradition of the neighborhood, tango is full of passion, style, arrogance, showmanship, and feelings of nostalgia and longing (possibly for the Italian homeland). And of course, the lyrics are usually infused with lunfardo, the porteno slang dialect of Spanish corrupted with the Italian language and accent. There is a little more to the naming of Caminito than it being a literal description of the small street. It also has a tango influence behind it. The name Caminito was in fact first famous for a very popular 1926 Tango, by a famous La Boca musician and resident, Juan de Dios Filiberto. As the conventillos of La Boca were perhaps the true home of Tango, and the Caminito street was to be a representation of this, artist Benito Quinquela Martin felt it highly appropriate to name the street after a tango, and even better, one by a famous local resident. The name of the tango just so happened to also literally describe this very small street perfectly. Another reason for the naming was that musician Filiberto had just fallen seriously ill at the time, and his good friend Quinquela Martin thought this homage to him would be the best way to try and cheer him up. These days, there is also a street in La Boca very close to Caminito that is named directly after Juan de Dios Filiberto, and of course, the lyrics to his tango song are also famously written on a plaque up on the first wall you see as you approach Caminito (although Filiberto only wrote the music, it was the Mendozan poet Gabino Coria Penaloza who added the words). If you come to Caminito at the weekend, you will also be able to do a little souvenir shopping the Feria de la Ribera arts and crafts market, which starts at the front of Caminito and goes around in front of the Riachuelo river. Here you will find handmade crochet scarves and shawls (see picture), traditional mate gourds and bombillas (the metal straws used for drinking mate), jewellery and lots of other interesting craft pieces, all at reasonable prices, especially if you are coming to Buenos Aires from the United States or Europe. And if you work up a hunger after traipsing around Caminito and the feria, stop in at an authentic Italian Pizzeria nearby in La Boca – Banchero Pizzeria. The restaurant also happens to have been a favorite of Benito Quinquela Martin, the architect of Caminito, so it is a fitting end to the outing – and delicious too. For more information about La Boca, including a little something about the famous Boca Juniors stadium and football team, the Argentina Travel blog adds some nice details about the neighborhood of La Boca. Interested in seeing some great tango? Then please click the following link to book a Tango Show in Buenos Aires, Argentina. Argentina, as a nation, is not overly concerned with being politically correct. If you have been here long enough, you start to realize that generalizing and categorizing are part of daily life in Buenos Aires. Although some may disagree, on occasion stereotypes are important generalizations, and it is only by generalizing the specifics of the world that human beings can continue to have constructive conversations. Of course, stereotypes aren’t always true (sometimes quite the opposite) or helpful. But it is a fact that they are there. Sometimes they can even be funny, especially if accepted by the nation itself. Your Suggestions for Argentine Stereotypes? No one is saying that any of the above are right or wrong. Just that they are widely circulated stereotypes. What are your views on these Argentine stereotypes? Please leave your comments below. 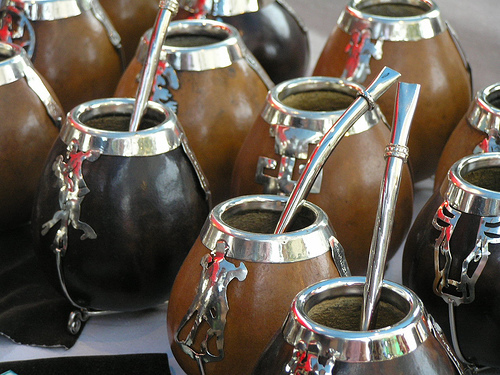 Can you think of any more common stereotypes about Argentina or Buenos Aires, good or bad? Again, please leave your suggestions as comments.